Teachers of science all over the world suggest introducing 3D printing courses as part of high school curriculum. Korean scientists suggest that 3D printing can be taught at junior high schools. 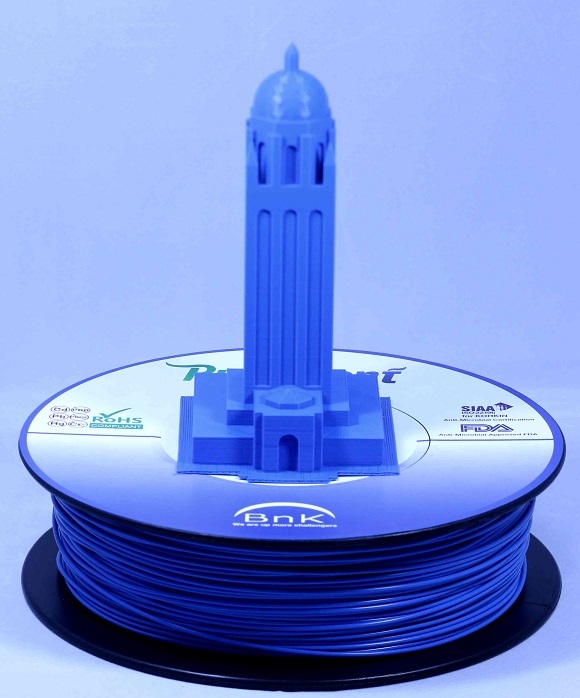 Books and Kimchi plastics manufacturer (BnK) have recently introduced a new variety of PLA filament with anti-microbial characteristics. 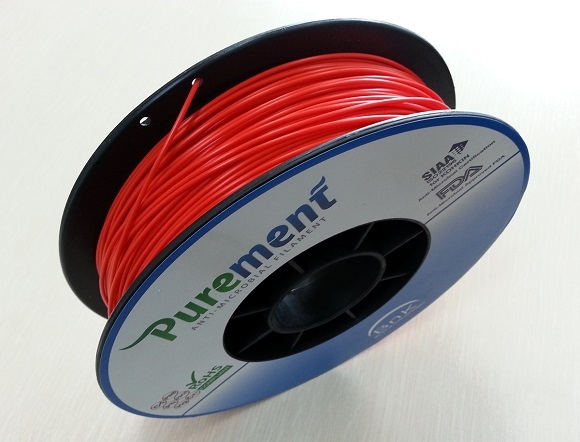 They hope that this Purement filament (as they called it) is the first of the kind and is suitable to be used by children at home and at schools. The question of introducing 3D printing to children as young as nine years old may be arguable, but the concept of the filament is rather clever. Anti-microbial substances reduce the growth of various kinds of bacteria. Purement has also been thoroughly checked for such properties. The results of the studies show that Purement has proven to be effective to fight almost 99% of colon bacillus bacteria and staphylococcus aureus in laboratory tests. 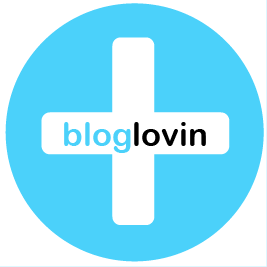 It also inhibits their spreading, which helps to decrease the risk of infections. BnK, by the way, used to specialize in producing plastic components for automobile production, but has recently turned to filament production. The Purement’s anti-microbial properties will then be certified by Korean patent, whereas the international and US patent is awaiting settlement. BnK told that the properties had already been certified by KOLAS and are agreeable with Restriction of Hazardous Substances (RoHS) rules established by the EU. All this proves that the filament is free from mercury, lead, hexavalent chromium, cadmium, polybrominated diphenyl ethers and polybrominated biphenyls. These materials are prohibited and are extremely dangerous to the world around us. They are likely to pollute landfills. They are also dangerous in production and recycling. The harmless characteristics of the new filament have been verified by Société Générale de Surveillance (SGS) and Society of Industrial technology for Antimicrobial Articles (SIAA). All this sounds amazingly beneficial. But what is the secret of the Purement? To cut a long story short, it’s a kind of PLA blended with non-organic antibacterial long-lasting components. Other objects of the same kind, like toys, can be the cradle of germ activity, whereas Purement has managed to kill lots of germs and prevent the appearance of the new ones. Before Purement it was almost impossible to get rid of the bacteria completely even having thoroughly washed the surfaces. Having the items made from Purement, germs and bacteria don’t even dare to settle in the crannies and nooks. So you don’t have to worry that your kids will catch any of them as the risk of their spreading is absolutely minimal. It means that now children can freely play with Purement 3D printed toys. It also means that the filament can be used in various public places, like schools. In general, it’s the most suitable educational filament. You can get it in eleven colors, which makes it a perfect filament for kids. Its manufacturers say that it works like PLA when it comes to 3D printing it. Currently you cannot order the filament. Go to BnK website and keep an eye on information about availability and we also hope that soon it will be available in our 3d printer filaments price comparison tool.